Designed by Aino Aalto in 1939, this sturdy chair uses a solid birch frame and strong linen webbing to create a classical yet modern piece of furniture. A narrow leg base with a slightly taller frame than the traditional chair 611, chair 615 is ideal for the dining room or seating multiple people at a table. 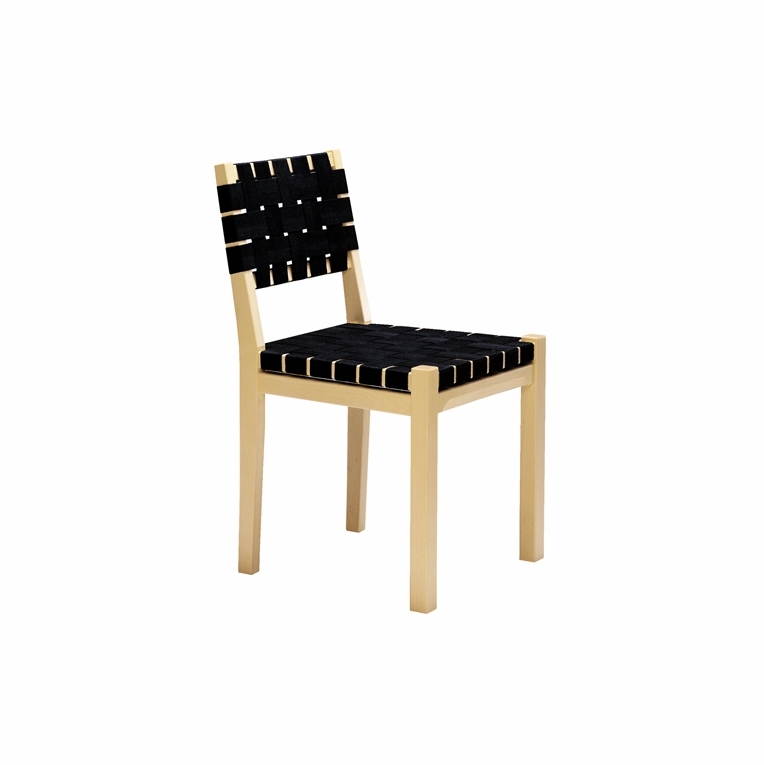 Made in Finland by Artek, ships assembled.Please review our Shipping Information page before ordering. Payment: 50% will be charged at time of order, remainder will be charged at time of shipment. Lead Time: Allow 3-4 weeks for delivery.